Ol Tukai Lodge is one of the best spots in the world to watch elephant with the backdrop of Africa's highest mountain, Mount Kilimanjaro. Located in Nairobi, Kilimani Area. Eagles Nest Guest House offers modern rooms with flat-screen satellite TVs, electronic safes and free Wi-Fi. 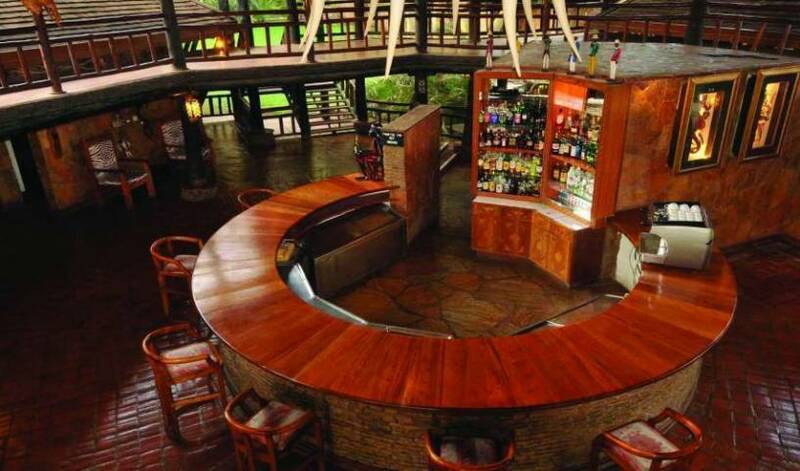 Its restaurant serves rich Kenyan dishes and Western cuisine. A world of warm hospitality, serene experiences and comfortable convenience. Located along Ngong Road, a few metres from Prestige Plaza, Leon Villas Guest House invites you to share in its tranquillity and grace. 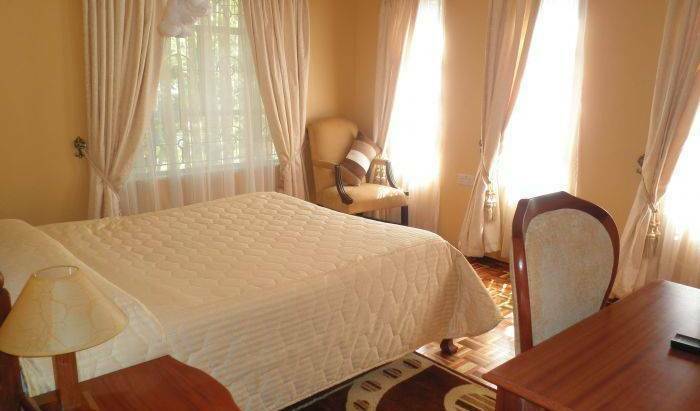 looking for a homely place to stay in Nairobi? Welcome to a Ushirika Guest house . Located in the safe and quiet residential area of Kilimani, the guesthouse offers students, volunteers and travelers clean & comfortable accommodation. Baitul Noor House offers quality hostel-type accommodation for the budget traveller and backpacker looking to explore the vibrant Swahili culture of Lamu and the surrounding archipelago. Best Budget Tented Camping Accommodation in Kenya & Adventure Activities . Accommodation in Clean, comfortable, safe and a relaxed atmosphere in Masai Mara. Coastgate Hotel for excellent accomodation, dining and conference facilities. Free airport transfers. Backpackers meeting point! Live THE BEACH - the crazyiest place in africa. Not far from the famous Jumba Ruins and located at the Entrance of the Mtwapa Creek overseeing the coral Reef. Perfect 4 Diving. Rent a Beach Banda for only 8 ! This unique accommodation is Nairobi's only tented camp. A variety of choices including pitched tents, dorm, private rooms as well as deluxe ensuited permanent tents*GPS coordinates S 001*18’040 E 036*47’729. We a leading cab services and budget accommodation provider specialized in Airport Transfers to Nairobi City hotels from Jomo Kenyatta Airport, Wilson Airport, private hire (all vehicles) and Group and corporate transfers with multi-lingual drivers. Formally located in milimani, come enjoy the breathtaking tranquility of the porsche Karen suburbs, cool place to stay filled with ventureful attractions. We are centrally located to all adventure spots. "A Home Away From Home"
An ideal destination for discerning travelers, business person and tourist at budget prices from all over the world. Our professional staff ensures that every individual is a hospitably treasured guest. 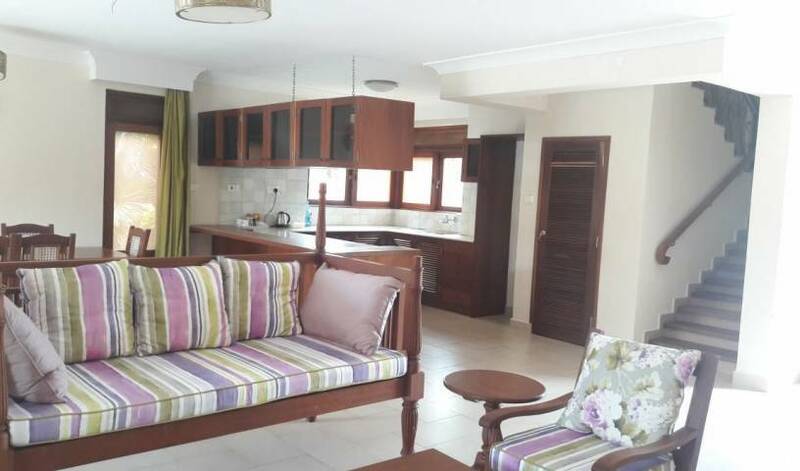 The Hanan Safari House is premier guest house in Nairobi that competitively leads in provision of guest house service with a high quality touch. 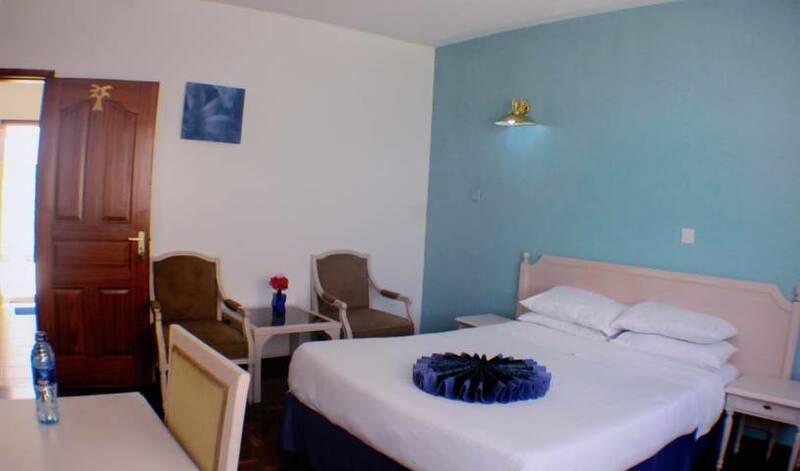 Located off Thika highway, Jobcamp offers 10 rooms in singles and doubles. It is clean, serene and secure place away from the busy city. clean, secure, quite hostelguest house with twin rooms, double rooms, hot shower, campind and a nice pub. airport pick ups and internet. ABBEY COMFORT INN IS A 2 STAR HOTEL. serene and secure place to spend your holiday, with beautiful gardens and pets at best rates in nairobi. safaris vans are well maintained for those willing to book a memorable adventure tour with us. camping areas within our property is unrivalled. Business Hotel with bed and breakfast and conference facility. spa and fitness center. The most luxurious place to be in within the center of Nairobi city with a spectacular view of its environment. All the amenities and explicit services are provided to our level best to ensure you enjoy your stay. Thank you for choosing us. Swara Plains Acacia Camp is 30 minutes from Jomo Kenyatta International airport, nestled in Yellow Fever trees on a 20, 000 acre wildlife sanctuary and hosts a resident population of over 3, 000 game animals and over 270 identified bird species. 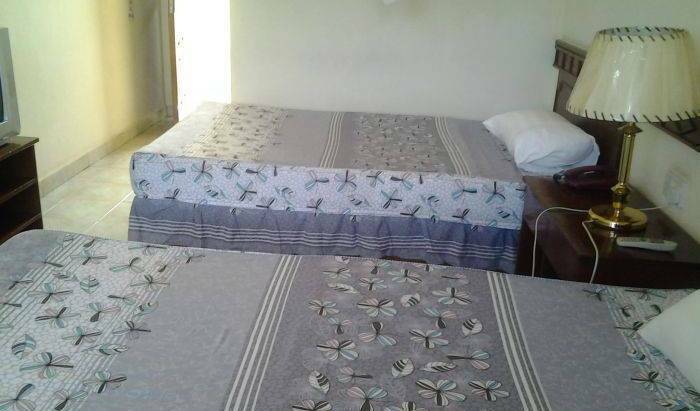 Downtown Backpackers is your preferred accommodation in Nairobi. Here we always have an adventure for you. We are centrally located to all of the adventures and touristict activities. Our prices are well suited for the budget traveler. A 4 star hotel located in kenya where on can reluxe an have a good time. A unique facility offering alternative accomodaion. Each of our 31 rooms is spacious with inviting and comfortable beds, complimentary wi-fi, premium entertainment channels. The Peacock Inn, is a perfect setting where unique ambience, ideal location and excellent service come together to create truly memorable moments, for the business travelers who need to relax and refresh before or after a flight or busy day. Want Hotels located near NAIROBI Airport ? The Strand Hotel is located minutes from Jomo Kenyatta International Airport [JKIA] and within walking distance from NAIROBI CAPITAL. Tropical Bush House is an ideal stop-over for guests on budget holidays in transit to various safaris by air or road. We also offer a great environment for all groups. We are ideally located on the way to both Jomo Kenyatta and Wilson airports. cider wood hotel is a one star hotel located in Nairobi west. Jambo Mara Safari Lodge is located inside of Masai Mara National reserve, 1KM away from Ololaimutiek Gate, and 30 minutes' drive from Keekorok Airstrip. With diverse flora and founa, the area is a must-visit for guests who come to Masai Mara. A HOME AWAY FROM HOME A HAVEN OF BEAUTY AND RELAXATION WITH A NATURAL ATMOSPHERE. Bermuda Garden Hotel is the ultimate, friendliest and most affordable hotel, catering to the passing traveller or for long term guests. Aquarium Guest Resort provides an affordable luxury. PrideInn Business Westlands is Located in the heart of Westlands along Westlands road next to Graffins is within close proximity to International Organizations.